Here’s your premier source for vegan Thanksgiving recipes and menus to create a memorable dinner—suitable for any vegetarian guests as well! Create mix-and match vegan Thanksgiving menus from the following recipes, from soup to dessert, complete with vegan stuffings and main dishes—all the holiday traditions you adore, updated for a compassionate plant-based feast. Shown above, Butternut Squash With Whole Wheat, Wild Rice, & Onion Stuffing; photo by Hannah Kaminsky. For even more recipes and menus for vegan Thanksgiving and other major holidays, see Nava’s book, Vegan Holiday Kitchen). Enjoy, and share the blessings! Would you like these choices narrowed down a bit? Here’s a link to our absolute favorite vegan Thanksgiving recipes. Thanksgiving dinner is a big meal, and for some, serving soup might not seem necessary. But if you’re having extra guests and want to stretch the central part of the meal, a warming soup can be a nice first course. 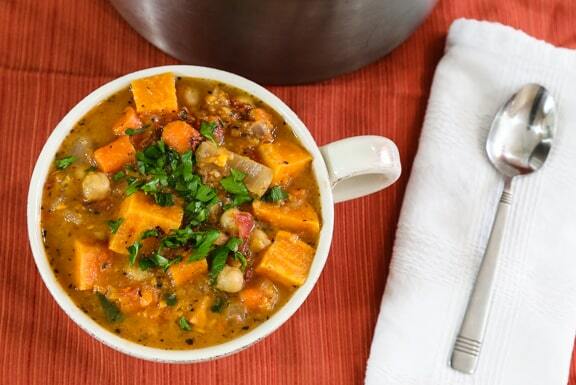 Consider serving one of these lighter seasonal soups that feature sweet potatoes squashes, and corn with a homemade quick bread, then taking a break (a brisk walk is always nice!) before settling in for the main meal. Everyone wants to know — what do vegans like to eat as the main dish for Thanksgiving? What do we think of Tofurky? (Answer: not our personal choice, but we have no problem with it if that’s what vegans want. Holidays are about nostalgia and familiar fare, and it’s certainly a more compassionate choice than the bird). We like to focus on the ingredients that were actually celebrated at the first Thanksgiving — beans, corn, and squash. 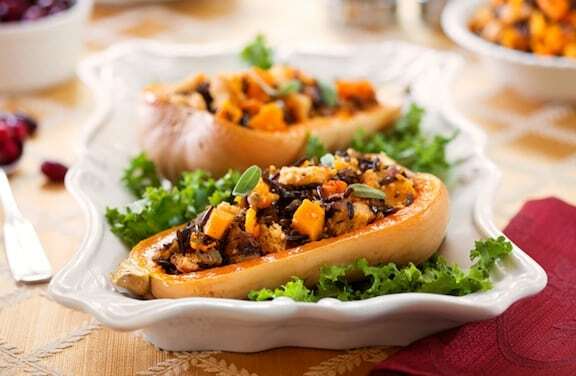 Stuffed squash dishes are our absolute favorite! And sometimes we go a bit further afield from the traditional holiday ingredients with other classic holiday favorites, our vegan versions of shepherd’s pie and pot pie, listed below. If you’d like to see our absolute favorites, see VegKitchen’s Best Vegan Thanksgiving Main Dish Recipes. Is there anyone who doesn’t love stuffing? But as crave-worthy as it is, it seems like it’s not the kind of thing anyone thinks to make for any occasion other than holidays. 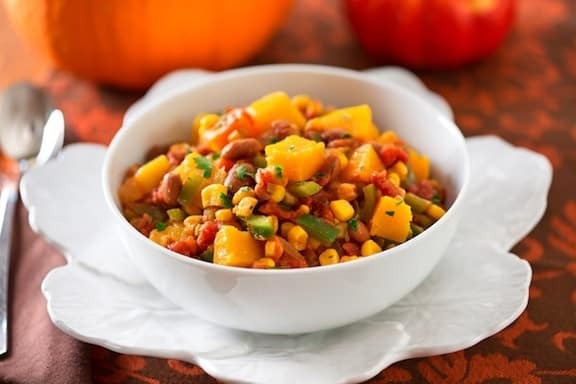 So don’t forget this tasty and comforting side dish when planning your vegan Thanksgiving dinner! Salad isn’t the first thing that comes to mind when planning a vegan Thanksgiving meal; but we’re of the mind that a salad — even a simple one — is an essential part of any occasion. Here we feature salads with seasonal ingredients — jicama, wild rice, cranberries, kale, greens, nuts — making them a perfect fit for your holiday table. Back in the day, vegetarians and vegans at the Thanksgiving table pretty much relied on side dishes; and they weren’t even that great. Things like plain mashed potatoes (we needed to hold the gravy) and overcooked green beans. 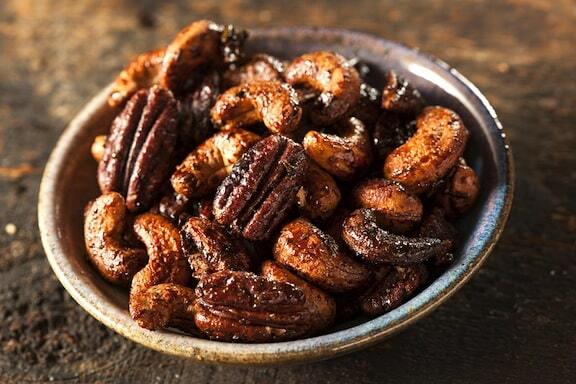 Today, side dishes are an essential part of the Thanksgiving table. 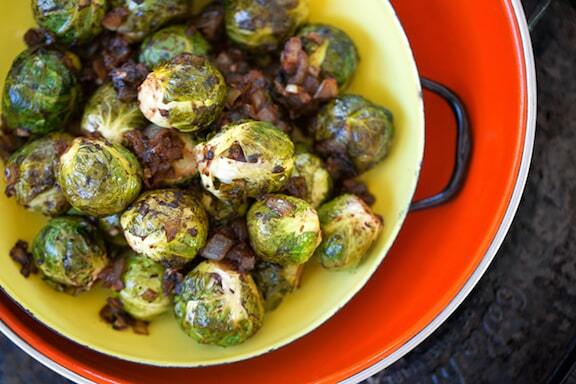 Our top three side dish veggies are brussels sprouts, sweet potatoes, and corn. And we’ve even got a vegan green bean casserole for you, too. If you’d like a curated list of our favorites, here are 10 favorite vegan Thanksgiving side dishes. This short and sweet category brings you the essentials — a delicious mushroom gravy, and three variations on cranberry sauce. By the time you finish Thanksgiving dinner, even if it’s all vegan, healthy fare, chances are that you’re really full. So you don’t need a lot of desserts, just one or two good ones. 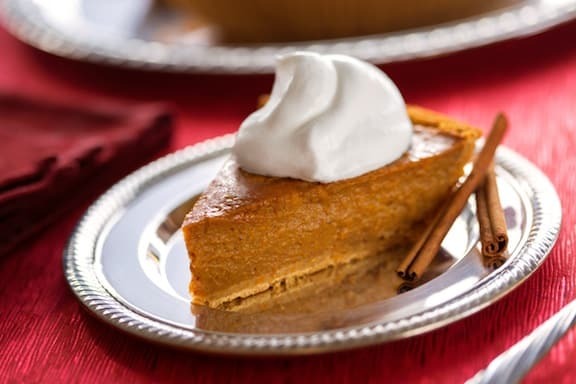 Pumpkin pie is so easy to make in a vegan version, and for many, that’s a must-have. 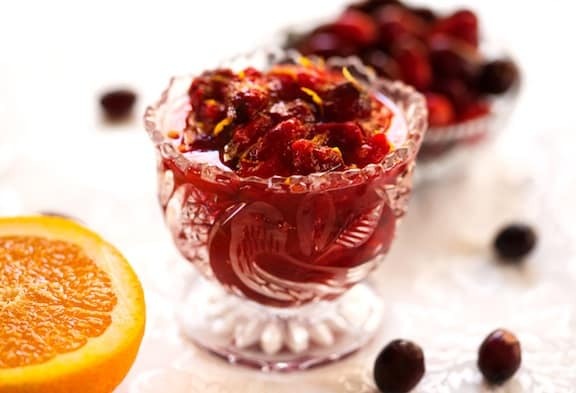 But we’ve also got some other alternatives, including fruit cobblers and even a pumpkin ice cream, to end your compassionate holiday meal on a sweet note! Here are more tips for keeping a vegan Thanksgiving and making the Holidays and Special Occasions healthy! The three sisters stew and black bean chili are delicious. I make them every year. Thank you so much for posting this. I’m vegetarian and was wondering what should i cook for TG. Thanks! ^^ This’ll be a great help. Great site! Thx for these great recipes! Can’t wait to make this! We are so fortunate to be able to have a Vegan Thanksgiving. So cool! Thanks gonna do the Quick Black Bean and Sweet Potato Chili this year. Have been looking for an ultimate resource for vegan holidays! Tired of just eating boring standard side dishes at my family’s Thanksgiving. Love that there are lots of ideas with flavor profiles that fit in with traditional Thanksgiving flavors! I always feel like my youngest sister and her family get left out at TG because they are the only ones in the fam whom are vegans. when I ran across your website and your delicious recipes, I knew that TG dinner would never be the same in our family! Thanks, everyone; that’s what VegKitchen is here for — to make Thanksgiving (and everyday) meals easy, tasty, and compassionate! What a wonderful list, thank you. Many Orthodox Christians start fasting on Nov 15 until Christmas Day. It’s so hard to celebrate Thanksgiving and yet keep the fast! This list will help! Any ideas for main dishes that aren’t loaded with carbohydrates? I’m hypoglycemic, and can’t handle a meal based on pumpkin, potatoes, and wild rice. Something heavy on lentils, mushrooms, and/or nuts might work. I’m not trying to complain about the recipes here–they look quite tasty. I’m just frustrated with the general carb-loadedness of all the vegan holiday recipes I’m finding. Karen, you’re right that Thanksgiving is a very carb-heavy holiday! Take a look under the main dishes at Lentil and Mushroom Shepherd’s Pie (you can replace the potato layer with soft polenta if need be) or Pueblo Corn Pie. Tempeh Stew with Wine and Shiitake Mushrooms might work, too. Under Side Dishes, see Red Quinoa Pilaf with Kale and Corn. With added black beans, that would be a good main dish as well. I hope that helps! Thank you, thank you! We’re also doing sweet potato/chard fritters with nutmeg & brown sugar. Yum! Thanks so much. I wanted to try something different. I’m vegan & eating with traditional families. 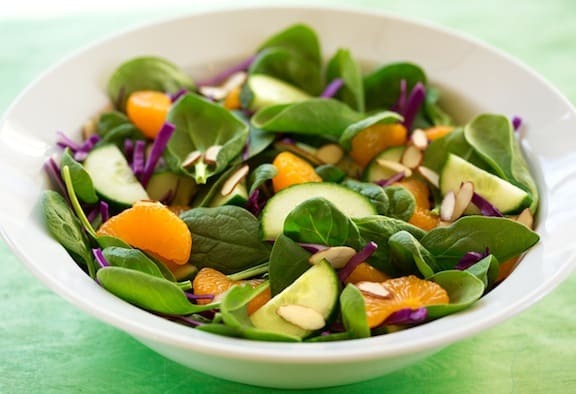 I’m making the Jicama salad with Orange slices & Watercress & Wine-Glazed Brussels Sprouts. It sounds yummy! I’ve never used Jicama before so I’m glad to try something new. I’ve tried the faux Turkey & not a fan of the texture of faux meat. It makes me think I’m eating the real thing. Weird, but I’m a veggie-girl all the way. So, thank you again for this post! These recipes look wonderful. I am anxious to try them, and I love to read reviews from others. I was so inspired by your recipes. This is my first vegan Thanksgiving and I am really looking forward to it now. I will have all of November to test cook the recipes I’ve chosen and whittle them down to 4 or 5 of my favorites. Thanks for the inspiration and I enjoyed the comments made by your more experienced cooks. WOW! It looks so yummy! 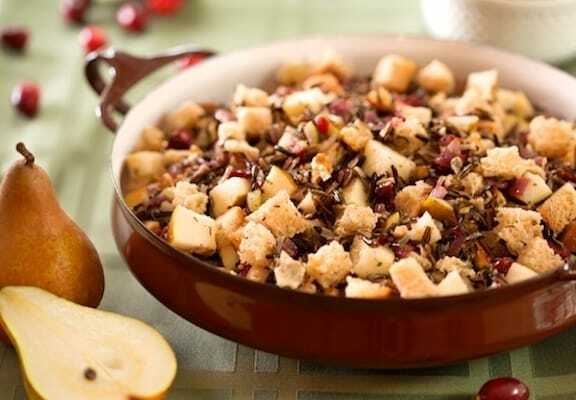 I will definitely try the wallnut-apple stuffing this year! BTW – I found a great vegan wine at Whole Foods Market, it is called “Deccolio Prosecco” and it will be great aperitif to the holiday dinner. I tried the corn chowder tonight and it will definitely be one of my main dishes this Thanksgiving. The shepherd’s pie with edamame was a twist on a classic recipe. I combined that with my favorite shepherd’s pie recipe from the book 21 Festive Vegan Thanksgiving Recipes for Beginners by Steven Cook. Chris, you can make this on Tuesday and it will still be just as good on Thursday. And it does freeze very well. I hope that your mixed group of eaters enjoy all that you’re making for them! Great recipes!! However, MAJOR turnoff to have to see an ad on the side of the page featuring a cooked TURKEY!!!! Talk about a total disconnect!!! Roz, sometimes these ads slip through on the ad networks and I can block them. Thanks for letting me know! I totally agree! First year as vegan, really anxious for family get together! Family is typical turkey dinner! Also no suger diet! Help! 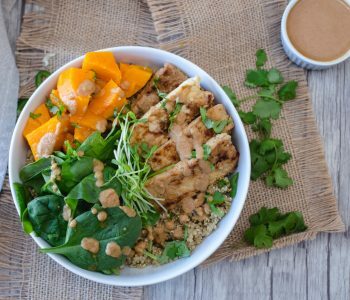 Foodies: Top 5 Vegan Thanksgiving Feasts | kids yoga co. Awesome site! Plan to make several of these recipes for the omnivore family. 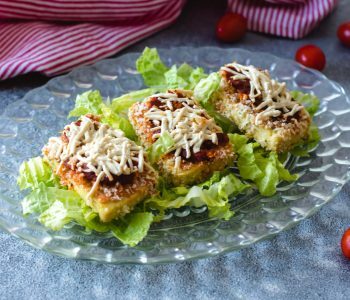 Thank you for a great list of vegan recipes. I’m trying to make the switch over to vegan and this would be my first vegan Thanksgiving. For me, becoming vegan is a health issue, not a moral issue. I grew up on a farm, so it gives me a different perspective. Hi Sally — you’re the 2nd person who is missing that recipe! When we did a new stuffings round-up, it seemed to overlap a couple of them. Take a look at this round up: http://www.vegkitchen.com/uncategorized/6-savory-and-comforting-vegan-stuffings/ — it’s probably closest to the Classic Bread Stuffing. Hope you find something you like here. THANK YOU so much for this wonderful list. I will share this will my FB group ’10 Minute Plant Based / Vegan Activism. 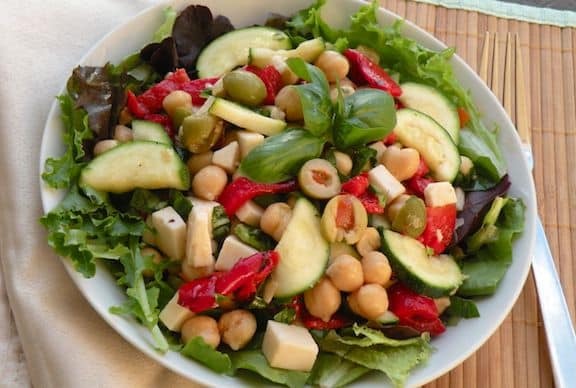 It will make a great tip to recommend people to pass on these wonderful plant based recipes! I love the cookbook – Vegan Holiday Kitchen and am glad this list is here at the website. So many wonderful, delicious, creative choices. Nava, you never disappoint! – Thanks! Thank you, Carol! And thanks for being such a longtime reader. Wonderful list. This article will help a lot of vegan people, but not only vegans. I can’t wait to try some of these recipes. Thanks for sharing this delicious dishes.